By now you’re probably aware of the importance of keeping dreadlocks moisturized. When they begin to dry out, they become susceptible to split-ends, breakage, “frizz,” and other problems. Regardless of your hair type, it’s essential that you keep your dreadlocks moisturized; otherwise, this could happen to you. This has led many people to seek natural solutions for moisturizing their dreadlocks, such as olive oil. Before we go into the pros and cons of using olive oil in dreadlocks, let’s first discuss what exactly is olive oil. While there are dozens of different varieties and types on the market, all olive oil is made in a similar manner: olives (Olea europaea) are harvested and pressed to extract their essential fatty oil. This oil is then bottled and sold in supermarkets, grocery stores, and online. 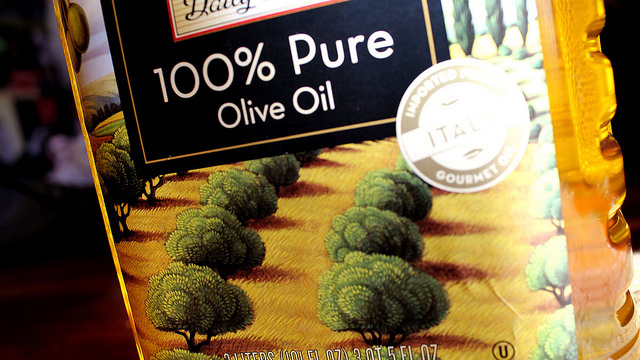 Olive oil has many different uses, some of which including cooking, skin moisturizer, and hair conditioner. One of the greatest benefits of using olive oil on dreadlocks is its moisturizing effects. Sure, there are plenty of other moisturizing shampoos and conditioners available, but olive oil is a particularly powerful moisturizer thanks to its thickness. A single coat will likely keep your dreadlocks moisturized for a week or longer. This means you can focus your attention elsewhere instead of having to worry about conditioning your dreadlocks everyday. Another reason why so many men and women use olive oil to moisturize their dreadlocks is because it’s all natural. When using a commercial-grade hair product, you really don’t know what you are putting into your hair. It could contain essential vitamins and nutrients, but it could also contain harsh synthetic chemicals that do more harm to your hair than good. Of course, there are also some potential disadvantages to using olive oil on dreadlocks. For starters, it may actually provide too much moisture for your hair. If you aren’t familiar with olive oil and its moisturizing effects, you may accidentally use too much on your hair. This can result in a thick barrier over your hair, weighing it down and making it difficult to work with. Olive oil is also difficult to wash out. Because it’s essentially a thick oil, water alone isn’t going wash it out. Instead, you’ll have to use a clarifying shampoo while manually working the oil out of your dreadlocks. This isn’t an issue for everyone, but some people report difficulty when washing olive oil out of their hair.